Kids today. They just love their Ableton Live and their Rock Band and their alternative tunings and their Live triggers and touch controllers stuck to their far-out new boutique controllers and high-end MIDI guitars. 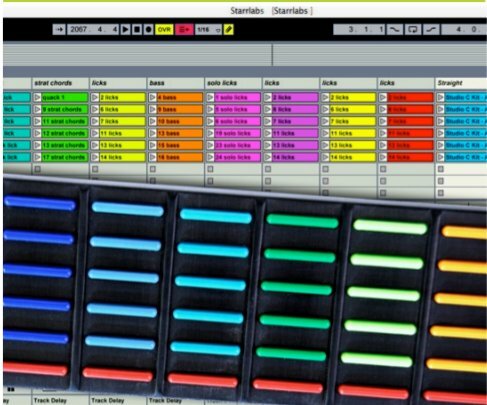 Starr Labs has a line of MIDI controllers for Rock Band gamers and musicians on a budget, real guitarists (that’ll be the pro MIDI guitarists, not the gaming ones), and a novel new controller designed especially for Ableton Live. We saw their wireless line earlier today, which interoperates with these; here’s them exploring control. If you don’t play the guitar, there’s also the airPad, a wireless controller for Ableton with pots, X/Y pad, nav control, and 4×4 light-up pads. Each string trigger has its own tuning, so you get what amounts to a combination between a sophisticated MIDI guitar and an alternative key layout. It’s a controller singularity, as if an alternate-tuning keyboard and a MIDI guitar had a love child. The Z6S-XPApro adds six pots. Scott Caligure has more on the updates to the Ztar. 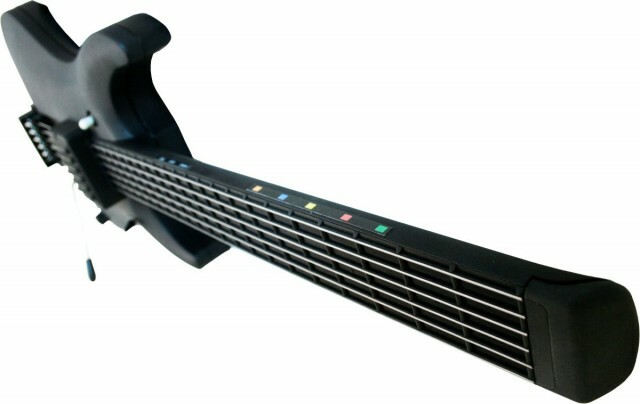 The “Rock Controller” is marketed partly for use with the Rock Band 3 Pro Mode, but it looks to me to be just as practical as a MIDI instrument – maybe even a little more so for some users, as it’s a bit simplified in contrast to the Ztar. With USB and MIDI connections, it’s just as happy to be plugged into your computer as an Xbox or PS3, and Starr are quick to say it’s not a toy. With zero-latency string triggers, a four-way joystick, five-way knife switch, muting, and two pedal ports, it’s still out there controller-wise. And like the others, it has actual strings (to make absolutely certain this isn’t just a toy). 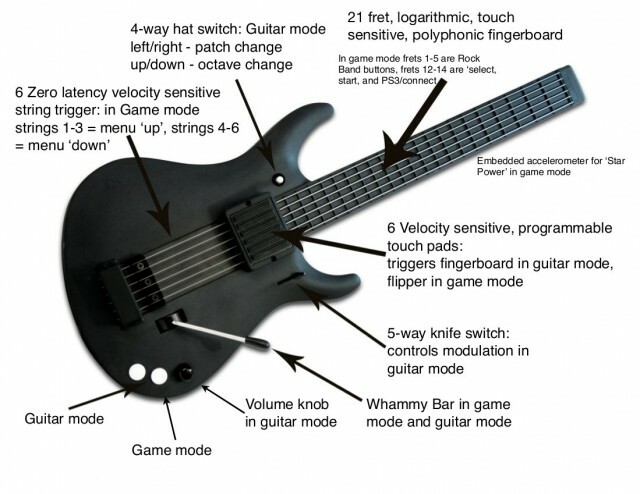 But it might be a more down-to-earth alternative if the Ztar is a little too alien or pricey for you. 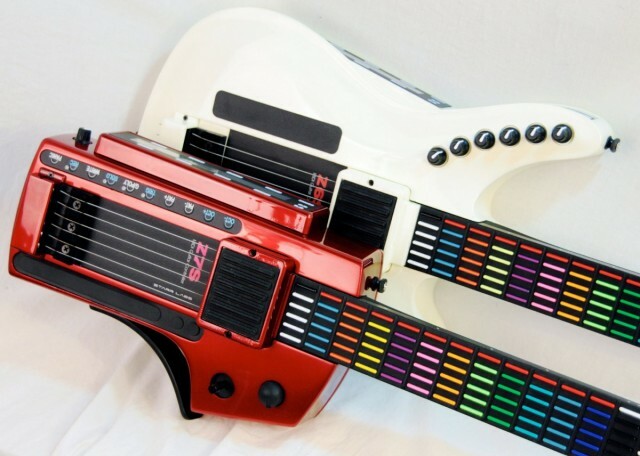 It’s also a huge leap up in quality and versatility from the (also useful) MIDI guitar controllers designed for the game. It might seem a bit out of place here, but the airPad is a more traditional Ableton Live controller. It does boast a novel control layout, and it’s wireless, working in the 2.4G ISM band. 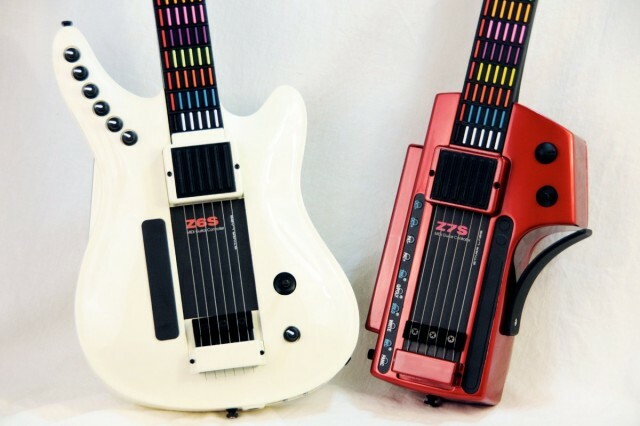 It’s well worth a visit to the Starr Labs site; they make an array of controllers and guitar electronics, including some fascinating alternate keyboard arrays. Makers like this make me wish I’d cashed in on some Web startup boom with an inexplicably-successful idea so I could squander part of my fortune collecting these designs. And for someone, I’m sure, they’ll find a real musical place in performance.